I spotted this photo in a newspaper this week and had to post about it. 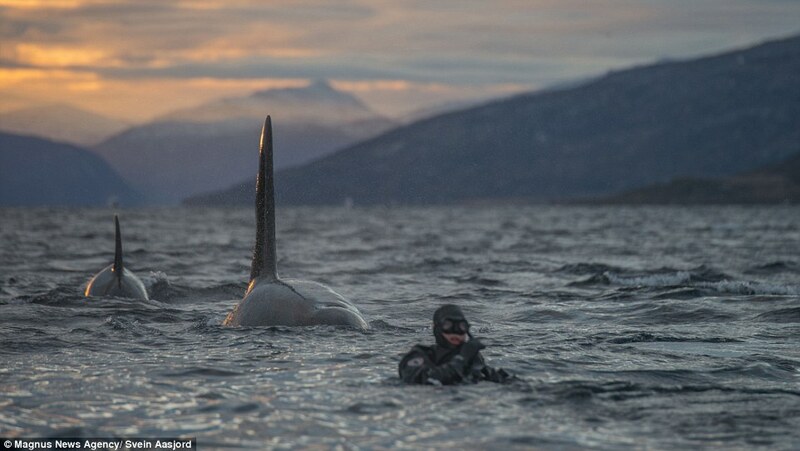 It depicts a diver in the fjord of Kaldfjord near Tromsø in the Arctic Circle, blissfully unaware of the presence of two killer whales who have come up for air behind him. The phrase ‘ignorance is bliss’ was coined in Thomas Gray’s Ode on a Distant Prospect of Eton College in 1742. Gray had been a pupil at Eton from 1727 to 1734, so he was therefore writing about his old school a few years after leaving it. Contrary to the traditional understanding of term as stating that it is a good thing to be uneducated, Gray is instead expounding a view that misfortunes will come to everyone in their own good time, and it would be cruel to inflict these truths on young people before they are ready to bear them. When you consider the strong case to argue that smarter people tend to be further inclined to mental illnesses, it may be advisable to avoid pointing out other people’s looming killer whales before absolutely necessary.